Dame Agatha Mary Clarissa Christie (nee) Miller was born to a wealthy upper middle class family in Torquay, Devon in the south-west of England on 15 September 1890 and died on 12 January 1976. She is best known as a crime novelist but she also wrote short stories, plays and six romances under the pseudonym Mary Westmacott. Five Little Pigs was first published in the USA by Dodd Mead and Company in May 1942 under the title Murder in Retrospect. I think this is a better title than that with which we are more familiar. 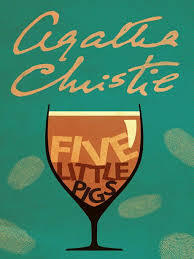 The reason that Five Little Pigs is so interesting to me is that it was designed to show how Christie’s character, Hercule Poirot, could solve a murder mystery just by reflecting upon the statements of witnesses. So, the novel is unusual as the same events are re-told from several standpoints. The novel tells the story of a famous painter. Amyas Crale has been killed and his jealous wife, Caroline is tried, convicted and sentenced to life for his murder. Long after her death, however, when her daughter has grown up she is convinced that her mother was innocent. She employs Hercule Poirot to find the fatal flaw in the perfect crime. She wrote a letter to her young daughter saying she was innocent. Now the girl is grown and engaged to be married. But before she does she wants to know what really happened. But Poirot does not have much to go on so he starts by talking to the lawyers who worked on the case. He then interviews the people who were on there t the time of the death. These people form the five little pigs of the title. The first pig was a business man, a friend of the murdered Mr. Crale. The second was his brother, a who was a country gentleman type. The next was the mistress, Lady Dittisham. The fourth little pig was the daughter’s governess. And the last was the younger sister of Mrs. Crale. Only the sister is convinced of Caroline Crale’s innocence, everyone else tells Poirot she was guilty. He learns that Mr. Crale always had women around, however, this time, it seemed that he meant to divorce his wife and marry his mistress: he was murdered before he got the chance. 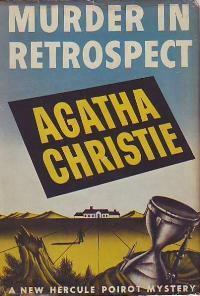 Poirot convinces each of the five to write an account of the time leading up to the murder. He thinks he will be able to reconstruct the crime and determine who was responsible for the murder of Amyas Crale.